The Arctic is often described as vulnerable, cold and exotic place with stereotypical images of indigenous and non-indigenous communities but the Arctic is not a homogenous place (photo: Joonas Vola). Senior researcher Tanja Joona works at the Arctic Centre of the University of Lapland. Joona’s research interests focus on indigenous peoples’ rights, especially the Sámi rights, the ILO Convention No. 169 and other relevant international instruments, as well as traditional livelihoods, especially reindeer herding, fishing and hunting. Previously she has been working in an international project NUORGÁV (Norwegian Research Council) dealing with Sámi youth and children in the cities and currently working in a Finnish Academy funded consortium project (WOLLIE). The project deals with youth well-being in northern industrial cities in Finland and Russia. Tanja Joona is a mother of four children and lives an everyday life as a reindeer herder in Finnish Lapland. The Arctic is often described as vulnerable, cold and exotic place with stereotypical images of indigenous and non-indigenous communities, where people live in peace and harmony with the environment and have special skills in surviving in the nature. Arctic is also equal to climate change. No stories go without connecting the vulnerability of the Arctic to the survival of our whole globe. However, it is not realistic to generalize when we talk about “Arctic problems”, “Arctic challenges”, “Arctic indigenous peoples”, or that the states are weak in implementing environmental rights. The Arctic is not a homogenous area or territory but there are many different states and actors living in the area. According to Flavia Schlegel who is UNESCO Assistant Director-General for Natural Sciences, Arctic indigenous peoples are considered “resilient”: “They respond, innovate and adapt to this changing context, and this source of resilience is deeply rooted in their lifestyles and social solidarity”. 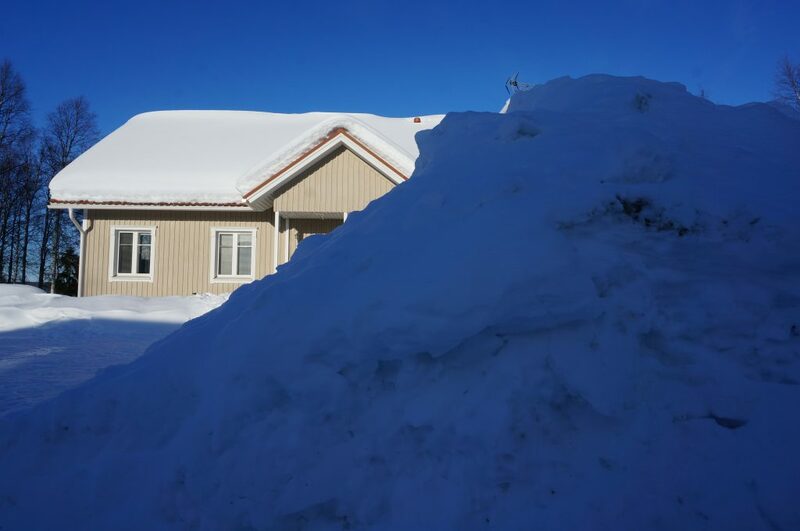 This article presents thoughts about everyday life in the Arctic, specifically in Finnish Lapland. This is an interesting place, since it is the largest and northernmost region of Finland, and also a home for indigenous people; the Sámi. Altogether, Lapland is a home area for approximately 183,000 people and there are only four cities in the southern part of the region. I live in a small reindeer herding community, 60 km west of Rovaniemi, at the Arctic Circle. We have a school in the village, with 15 pupils, a small grocery store and few tourist resorts. 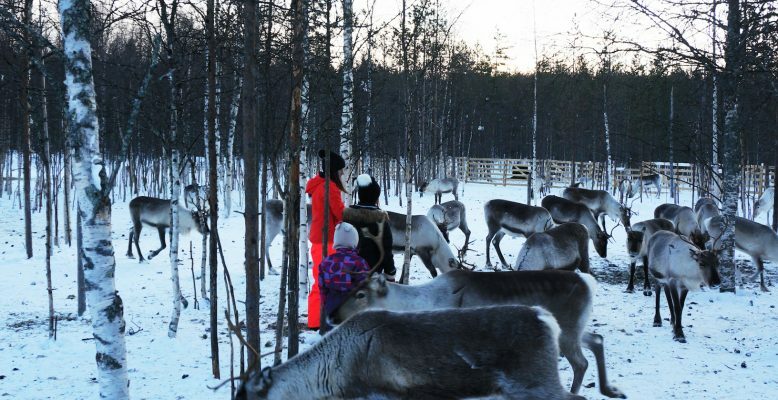 Most of the working people commute to Rovaniemi every day, while others get their income from reindeer herding. Figure 1: Finnish Lapland is the largest and northernmost region of Finland, and also a home for indigenous people; the Sámi (photo: Joonas Vola). Lapland as a region has strong potentialities, as well as specific problems. The lack of roads and railway connections, as well as east-west flight connections, a general shortage of job opportunities, and sparse population and sparsely populated areas are only some of the issues that affect the region and the Arctic in general. A major health disparity in the Arctic is the high rate of suicide, especially among young men, when compared with the populations in other regions of the world. In the last decade there has been a massive migration from small villages of the north to the big cities of the south. Also, the relative role of traditional activities as a source of livelihood has been declining over the last century. This has led to changes in lifestyle that have brought about a cultural transformation, including alterations in family structure, values and cultural forms of expression. In northern villages, young families with many children start to be a rare sight. The population is getting older, and many want to move nearer to the cities and closer to services. In Finland, from the northern cultural point of view, the situation is alarming: at the moment 70% of the Sámi are living in the urban southern cities of Finland, 85% of the children are born there. This means that they are already third or forth Sámi generation born in the cities with no ties to Sámi languages or traditional livelihoods. It has been studied that it is very challenging to preserve the “indigenous identity” in the cites, which inevitably raises the question of what it is meant by “indigenousness” in the first place. But, this is another story. Figure 2: The lack of connectivity is one of the issues which affect Arctic populations (photo: Joonas Vola). In Finnish Lapland it is “normal” to drive 60 to 100 km to work every day, or to the nearest health care center. These realities teach you to organize and plan your life well beforehand. Especially with young children life in the city would be so much easier. Long distances between home and school are tiring for everyone and there’s no energy to do the same trip twice daily to seek hobbies from the nearest city. Hobbies have to be found from your “backyard”. So why do we then still choose a life in the northern periphery? In the northern communities of Lapland, cultural growth takes place in a social environment where family and family relationships are important. Traditional knowledge is forwarded naturally, utilizing the words and meanings associated with nature and animals. Throughout the centuries, nature, lands and waters, their origins and their sustainable use have been an integral part of the indigenous Sámi culture, and they are still today. Culture lives in everyday life. It is part of everyday life, though this is not always recognized. Often, nature-relations begin as a “hobby”. It is fun to go fishing, it is wonderful to get a catch, you’re proud to get your hunting license, and there are memorable moments spent by the camp fire after picking berries in the forest. At the same time, you observe the nature, you teach kids the names of the hills, lakes and rivers. And you teach them how to respect and live with the nature. As “it has always been done”. Figure 3: Why do we still live in the northern periphery? Throughout the centuries, nature has been an integral part of the indigenous Sámi culture, and still is today. Traditional knowledge about nature is forwarded to the younger generations (photo: Joonas Vola). In the north, many people still live in annual rhythm, especially in communities that depend on traditional livelihoods. This means that certain things are done in a certain order. Usually, it starts with the beginning of the new reindeer herding year: 1st of June. Before this, end of April, reindeers which are fed at home fences during winter are released back into the forest to breed. Timing is exact: there needs to be at least something to eat in the forest. In some areas the herd has to cross the frozen lake to the forest, so the ice needs to hold up the herd, but also the herders with snow scooters which can be dangerous. In the early summer weeks, new calves are born, and in the midsummer they get ears marked with owners marks (by knife). Summer is also the time to make hay for the animals and prepare for the coming winter. This means also fishing and berry picking in August. Fall time is for hunting of birds, moose, and bear. From the beginning of December until the end of April, many reindeers are fed with extra food, which means that some of the reindeers are kept in home fences, some of them are in the forest and mountain areas. Feeding usually requires work by the whole family, but at the same time, children learn how to take care of an animal. A very popular hobby is also to tame a reindeer to pull a sledge or race with it with skies. 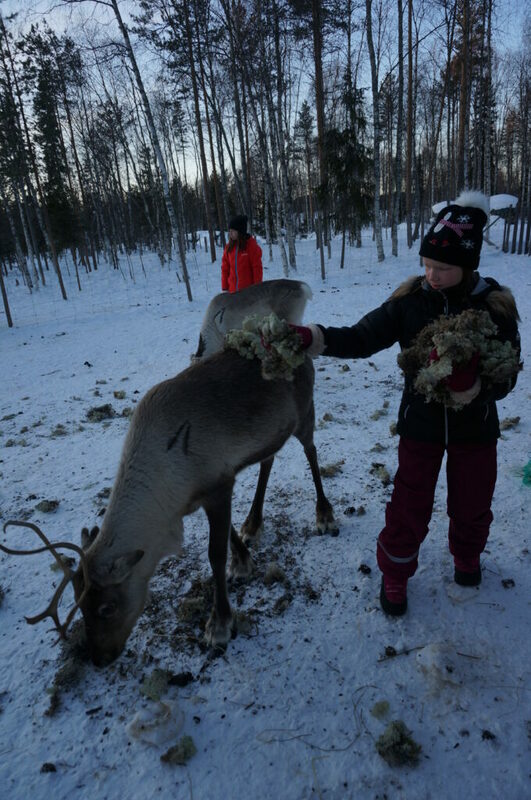 Before the real winter comes and covers the landscape with soft snow, weather can be rainy and icy so that it is very difficult for a reindeer to dig through the ice, and extra feeding is needed even more. Figure 4: The traditional year starts with the beginning of the new reindeer herding year in June (photo: Joonas Vola). It is recognized that climate change poses threats and dangers to the survival of indigenous communities worldwide. Indigenous peoples in the Arctic region depend on hunting for polar bears, walrus, seals and caribou, herding reindeer, fishing and gathering. Hunting is needed not only for food to support the local economy but also as the basis for the cultural and social identity. Some of the concerns facing indigenous peoples include the change in species and availability of traditional food sources, and the safety of traveling in changing ice and weather conditions, which pose serious challenges to human health and food security. With the current increased frequency of extreme weather events triggered by climate change, traditional knowledge as well as weather and climate knowledge from previous years are becoming less and less reliable for local communities. For example, calve marking is traditionally done in mid-summer, when it is the time of mosquitoes. This practice might be affected if the season gets drier and hotter. In Finland, Norway and Sweden, rain and mild weather during the winter season often prevents reindeer from accessing lichen, which is a vital food source. This has caused massive loss of reindeer, which are vital to the culture, subsistence and economy of the Sámi communities. 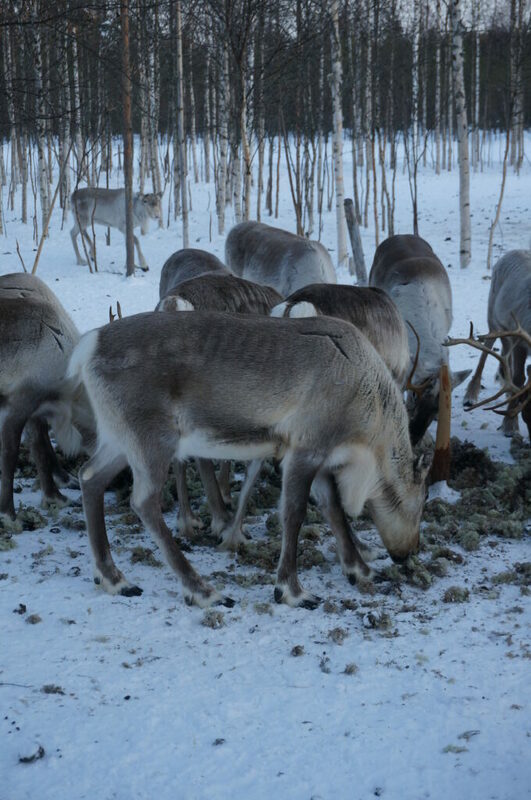 Reindeer herders must, as a result, feed their herds with fodder, which is expensive and not economically viable in the long term. Despite the challenges, Arctic everyday life can be considered rich in many ways, but it is also almost constant balancing with many different things. Even the climate can be difficult to someone; -35 degrees Celsius in the winter makes you to be very innovative how to get children safely to school and at the same time pray that the engine of the car will start and get you to work. The dark winter period can be very depressive. However, this summer we have enjoyed the heat of the century, with many weeks even around 30 degrees Celsius. This warmness has brought the climate change closer and in the talks of everyday life. Weather prediction is important in this context, since it helps people in the planning of everyday life. A nice article was written!! 1) Regarding reindeer husbandry, you mention that “calve marking is traditionally done in mid-summer, when it is the time of mosquitoes”. What have mosquitoes to do with this activity and why drier and hotter conditions would affect it? 2) If reindeer herders knew in advance that it is very likely for next winter to be rainy and mild, would they be able to adapt their practices accordingly, or there is nothing they can do?